The growing availability of very large amounts of natural language data in digital format means that computational methods are playing an increasing role in linguistic research, while, at the same time, Human Language Technology (HLT) techniques are becoming more widespread in areas such as data mining or web search. As the problems tackled in the scientific study of language and by developers of HLT applications are often the same, the interaction between researchers using computational methods to study language and researchers interested in HLT applications is likely to be beneficial to both. The University of Essex has a long tradition of research in the area of Language and Computation (which has a variety of names, including computational linguistics, or natural language processing), starting with work on Machine Translation and Parsing in the 1980s, as well as work on formal semantics (e.g., Property Theory). The Language and Computation group is an interdisciplinary group created to foster such interaction between researchers within the University, and includes staff and students from the School of Computer Science and Electronic Engineering, the Department of Language and Linguistics, and the UK Data Archive. The group organizes regular events including the annual Language and Computation Day and the weekly Language and Computation Reading Seminar. 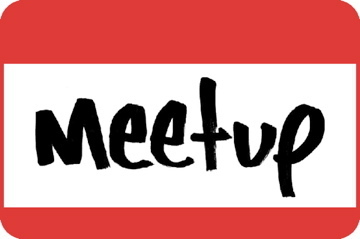 We are also co-organisers of the London Text Analytics Meetup. Recent events included a Meetup at Bloomberg and a Sentiment Analysis Special at Level39. If you have any questions about the Language and Computation Group; its meetings; joining our mailing list; editing pages on this wiki; or undertaking a PhD or similar in the area of language and computation — including Computational Linguistics (CL), Natural Language Processing (NLP), Information Retrieval (IR) and Formal Semantics — then do feel free to contact us. This wiki is available under the domain name lac.essex.ac.uk.